Turkey should urgently ask UN Secretary-General Antonio Guterres to establish a United Nations investigation into the possible extrajudicial execution of the prominent Saudi journalist Jamal Khashoggi, the Committee to Protect Journalists, Human Rights Watch, Amnesty International, and Reporters Without Borders said today. The investigation should determine the circumstances surrounding Saudi Arabia’s role in the enforced disappearance and possible killing of Khashoggi. It should aim to identify everyone responsible for ordering, planning, and executing any operations connected with the case. Evidence collected by the UN investigation team should be preserved for use in future prosecutions. The investigation team should have complete access to travel where it needs to and to interview potential witnesses or suspects without interference. The team should also recommend avenues for bringing to justice anyone against whom credible and admissible evidence of involvement is found. Khashoggi entered the Saudi consulate in Istanbul on October 2, 2018 and has not been seen or heard from since. Saudi Arabia has denied involvement in Khashoggi’s disappearance, claiming he left the consulate on his own shortly after his arrival, but it has failed to produce any evidence supporting this claim. Saudi authorities have escalated their crackdown on dissenting voices in the country since Mohammad bin Salman became crown prince in June 2017, marked by systematic repression of dissent, including peaceful expression directed to the promotion and protection of human rights. Virtually all human rights defenders and critical voices, including religious clerics, journalists, and academics, have been targeted in the recent arrests. 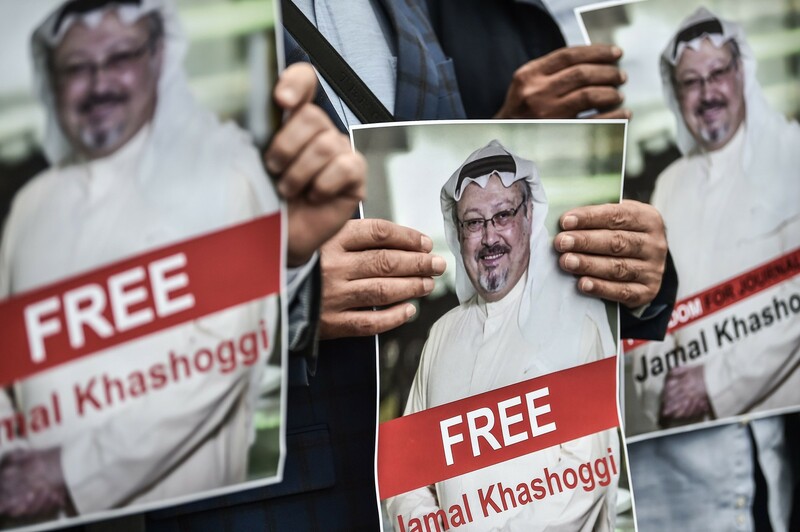 Khashoggi’s disappearance comes after more than a year of arrests targeting journalists who reported on corruption, women’s rights, and other sensitive issues. Several are being held in unknown locations, without charges, according to research by the Committee to Protect Journalists. Many individuals, including the prominent women human rights defenders Loujain al-Hathloul, Iman al-Nafjan, and Aziza al-Yousef, have been arbitrarily detained without charge for months. These women activists and many others may face lengthy prison terms or the death penalty following grossly unfair trials before the counterterrorism court for peacefully exercising their rights to freedom of expression, association, or assembly. The Turkish authorities announced that they had initiated a criminal investigation on the day of Khashoggi’s disappearance on October 2. As part of this investigation, they conducted a forensic examination of the Saudi Arabian consulate on October 15. Information from the investigation has been shared with the media through a series of leaks, including claims regarding the existence of audio and visual records proving that Khashoggi was murdered in the consulate. On October 15, Saudi Arabia’s king ordered the Public Prosecution to open an investigation into Khashoggi’s disappearance. Given the possible involvement of Saudi authorities in Khashoggi’s enforced disappearance and possible murder, and the lack of independence of Saudi Arabia’s criminal justice system, the impartiality of any investigation by the Saudi authorities would be in question. Khashoggi’s fiancé, Hatice Cengiz, a Turkish national, told media outlets that when Khashoggi entered the Saudi consulate on October 2 to obtain their marriage documents, he left her his phones and instructions to alert the Turkish authorities if he did not return after two hours. That was the last time Cengiz saw him. Turkish authorities believe Khashoggi was killed and dismembered by Saudi agents inside the consulate. There is a precedent for such a UN investigation. In 2008, Pakistan asked then Secretary-General Ban Ki-moon to establish an investigation into the assassination of former Prime Minister Benazir Bhutto. That investigation uncovered what investigators said was an attempt by Pakistani authorities to whitewash the events surrounding Bhutto’s murder. An investigation into Khashoggi’s enforced disappearance and possible murder should start promptly and be thorough, impartial, and independent. UN Secretary-General Guterres should appoint a senior criminal investigator with extensive experience in international investigations to head the team. Once the investigation is concluded, the secretary-general should issue a public report on the overall findings along with his recommendations for following up. Turkey, Saudi Arabia, and all other UN member countries should fully cooperate with the UN investigation to ensure that it has all the access and support necessary to determine what happened to Khashoggi. To facilitate the investigation, Saudi Arabia should immediately waive diplomatic protections such as the inviolability or immunity of all relevant premises and officials bestowed by treaties such as the 1963 Vienna Convention on Consular Relations. Michelle Bachelet, the UN high commissioner for human rights, has called for waving these diplomatic protections in the case. Turkey should turn over all evidence, including audio and visual records that Turkish officials have repeatedly claimed to the media reveal Khashoggi’s murder in the Saudi consulate. A newly formed Turkish-Saudi working group investigating the murder will be unable to make progress in the face of Saudi Arabia’s blanket denials and rejection of any involvement in Khashoggi’s enforced disappearance. Jamal Khashoggi is a prominent Saudi journalist with several Saudi Arabia-based Arabic and English-language newspapers including Okaz and the Saudi Gazette, and he served two stints as the editor-in-chief of the Saudi daily al-Watan. In December 2016, Saudi authorities publicly denounced Khashoggi after he criticized then US President-Elect Donald Trump at an event in Washington, and he fled Saudi Arabia to the United States in June 2017, becoming a regular columnist for the Washington Post.